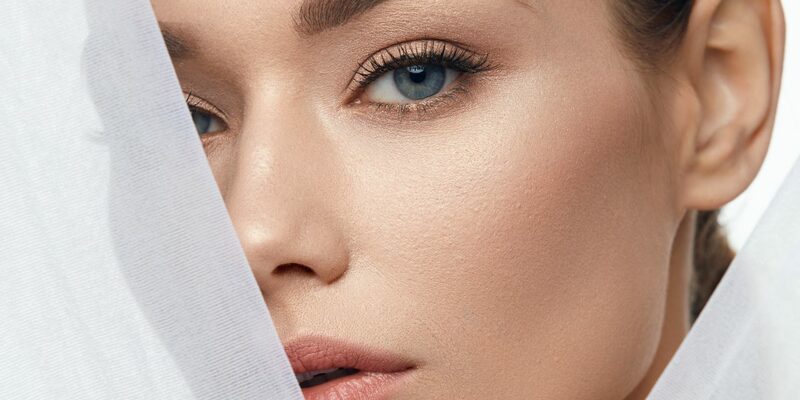 With sleep aids and stress relief one of 2019’s key beauty trends, its no wonder that several companies were innovating in this space. Givaudan, for example, launched Sensityl, a sustainable active cosmetic ingredient derived from micro algae said to bring mood-enhancing properties to the table. Sequens ushered in Glycuron 2.78, a high molecular weight polysaccharide rich in uronic acid produced by biotechnology, which it claims can enhance measurable positive image perception. And CLR’s AnnonnaSense CLR promises to improve well being and quality of life with its adaptogenic approach. As all things fermented gain traction over in the health food stores, Mibelle was taking notes, unveiling Black BeeOme, which is made from fermented honey and is designed to promote the recovery of the individual skin microflora after stress – pollution for example. Clariant went all out on the food front with its FOOD2BEAUTY concept – zero waste beauty products inspired by classic food recipes from popsicle moisturizers to sugar cookie scrubs. Seppic also jumped on the gourmand beauty bandwagon with Fresh Body Yoghurt, a food-inspired biodegradeable emulsion described as having a ‘pleasant yoghurt jelly texture’ and delivering on hydration. As well as pollution, the blue light emitted from our favourite gadgets continues to be a major concern. Azelis debuted a hand cream formulated to protect the wearer from blue light under its ‘Unique You’ range, which celebrates difference and is designed to fit unique needs. Evonik’s Tego Pep UP is also said to counteract the effect of screen time – as is Lonza’s ScreenLight Block. Givaudan took it to another level with Agefinity, a natural biomimetic cosmetic active designed to tighten up the ‘Y-zone’ – that is the face and neck area that can be affected by protracted smartphone use (we are loving the expression ‘text neck’ – if someone can send us a vat of this, that would be great. Thanks). Of course, following on from Azelis’ Unique You range, it goes without saying that customization continues to be a major trend. This year the trend was expressed in specific, niche concerns such as protecting skin from extreme weather (Azelis) or Sederma’s Amberstem, which is billed as an ‘ultra-customised’ solution for olive complexions which suffer from greying, uneven tone. Not to be outdone, DSM dedicated its stand to individuality – celebrating diversity in skin care needs both seen (as in skin tone) and unseen (the microbiome). Its scientists are exploring the potential of a wide range of molecules to discover one that can deliver results for everyone. Lipotec’s futuristic Infinite Beauty presentation certainly embraced personalization, dreaming up formulas to keep skin matte during exercise (Pre-Workout Control Spray) and a micellar water designed to be used after a hard night partying. The company’s Dawnergy formula, meanwhile, is designed to kick start skin in the morning. But by far the biggest trend of the year – chiming with the ever-increasing demand for transparency – was the ‘withouts’. This year’s key ingredients are valued as much for what they don’t contain as what they do. Take Evonik’s Sipernat 250 PC and 9000 PC for body scrubs, for example, which is listed as nature-identical by NATRUE and certified with the COSMOS label for use in natural products and, crucially, does not contain microplastics. Or BASF’s Chione Electric Fuchsia SF90D is a vegan and ‘clean’ patent pending multi-layer technology on synthetic mica – carmine-free it delivers one of the most-requested color needs in the market, says BASF – that is intense pink. Inolex unveiled two new breakthrough products, AminoSensyl HC and Amino Sensyl SC, which it says are 100 percent natural palm-free, quat-free, petrochemical-free, readily biodegradeable, non-GMO and cruelty free. Phew. That’s some list. Side note – should we be worrying about quats? I feel like I may have reached my worry quota – or should that be quata. There was aluminium-free, alcohol-free and paraben-free deodorant over at Clariant where its CareMag D draws on Dead Sea magnesium for natural body odor control, while Beraca displayed a paraben-free, multi-functional insect repellent base containing andiroba oil. And while we’ve now reached our five, it’s worth noting that body care is having a moment right now. There were hydrating and sensorial body creams galore at the show – as well as specific treatments for common concerns – Provital’s Striover, for example, calls on on two plants used in traditional Chinese medicine to tackle stretchmarks naturally. Seppic, meanwhile, unveiled the Cica Stick having identified ‘comfort’ as becoming a major market demand, it contains centella asiatica to soothe skin and relieve sensitivity. Maybe it’s difficult to understand that and accept that there will be continued pressure on ingredeints by regulatory agencies and social pressures, but it’s true. While quaternaries (quats) are incredibly valuable ingredients for conditioning, they are also molecules with ecoological and toxicological concerns that are inherent in their chemistry. A number of quats have been banned in Europe for laundry use, but they’re still allowed in beauty. How long do you think that situation can last? These are the di-alkyl (long chain) amine derived quats. Their shorter chain analogs are used as biocides. These molecules are not easily biodegraded, and they have biocidal properties as well. No one likes a shrinking pallette of ingredients, but forward looking industry scientists have already identified quats as the next likely group to undergo societal pressures.